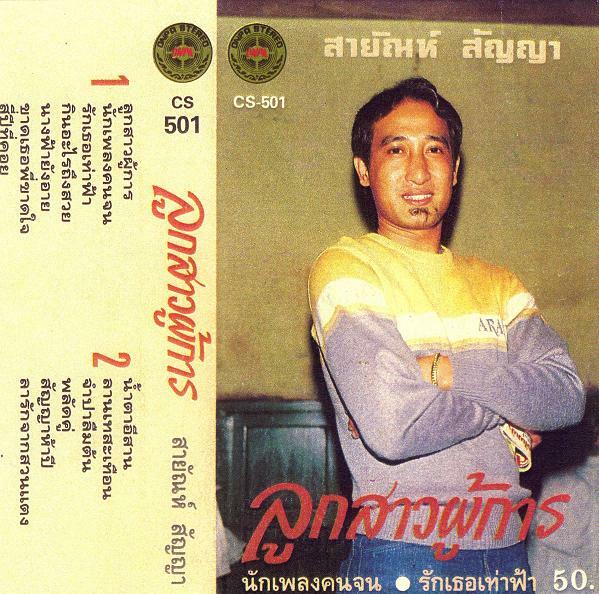 this week, classic luk thung ballads from the one & only sayan sanya! born & raised in central thailand's suphan buri province, sayan grew up farming rice with his family. he started his musical career as a dancer in phongsi woranut's group, gradually moving up to backup singer and eventually forming his own band in 1973. through the 80's & early 90's he paired up with phumphuang duangchan and reigned as the biggest of luk thung stars. this cassette rounds up his early hits, dating from the late 70's. the band's slow, dense arrangements behind sayan's nasal crooning have always made a winning combination for me. hope you enjoy as well! Thanks so much. Big fan of your blog. His song is never die! For Thai Language about This Singer.